Rocket League players can now match against other players, regardless of their console. 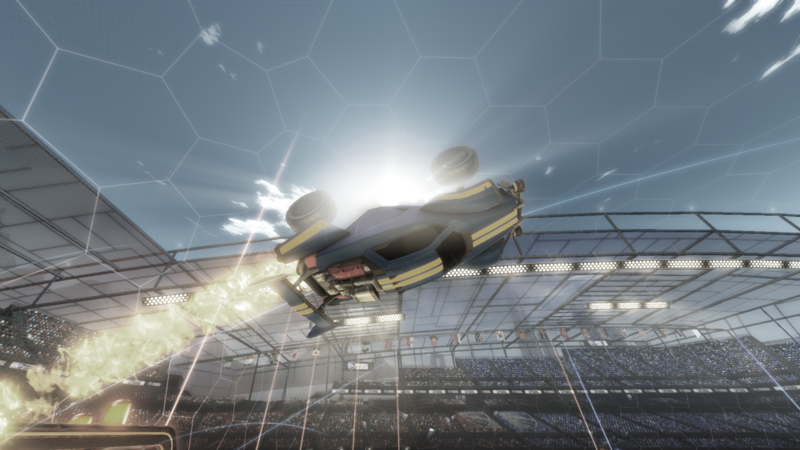 In a post published earlier today, VP of publishing at Pysonix Studios Jeremy Dunham announced that Rocket League has entered the PlayStation Cross-Play Beta Program, meaning players across PC, PS4, Xbox One and Nintendo Switch can now queue for matchmaking together and will be pitted against each other in the car-soccer hybrid title that has been prominent since its release in 2015. Of course, if you prefer to play with your platform players only, you can do so by unchecking the ‘Cross-Platform Play’ box found in the gameplay section of the settings. Rocket League joins Fortnite in becoming a game that has entered what Sony is calling the ‘Cross-Play Beta Program’. The Japanese electronic giant faced backlash last year after banning cross-platform play in the free to play battle royale phenomenon Fortnite shortly after it was announced the title was coming to Switch. The gaming community turned against Sony, forcing them to backtrack on the decision and launching the beta program. Previously, Rocket League players on PC, Xbox One and Nintendo Switch could matchmake while PS4 players only had the option of playing with PC players. Sony have seemed to change their tune this year, seemingly to please the outcries from fans who don’t want to switch between consoles just to play with their friends. Rocket League is out now on PC, PS4, Xbox One and Nintendo Switch.